Everything’s not all bad, right? 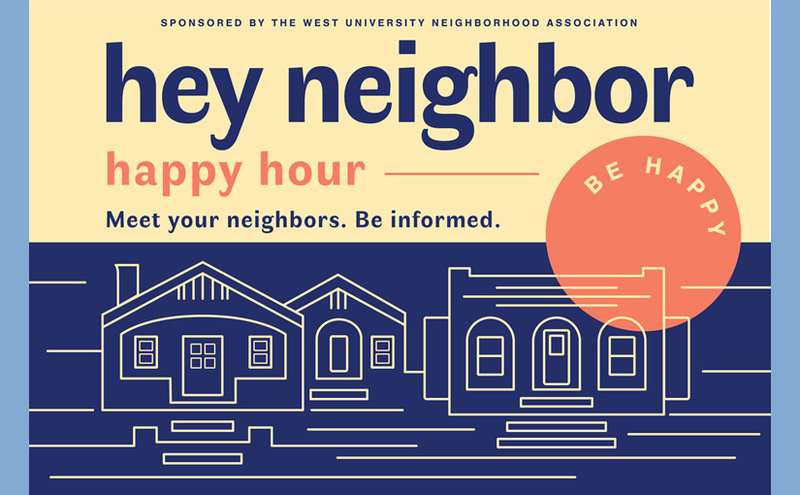 Introducing “Happy Neighbor Happy Hour,” a spot for downtown Tucson neighbors to gather and hear positive and hopeful stories of community building and place making from the coolest folks we can find. “Hey Neighbor Happy Hour” kicks off Thursday, April 19th from 5:30 to 7pm in the Exo Bar for a historic preservation edition. Corky Poster of the design firm Poster Frost Mirto will talk about recent historic preservation success stories in Tucson’s core and what’s around the corner to get excited about. Sponsored by the West University Neighborhood Association. Meet your neighbors. Be informed. Be happy. Each “Hey Neighbor Happy Hour” dives into a downtown Tucson neighborhood livability, culture and community theme. The events pair two downtown people making things go for a casual, open discussion on how good things happen in the places we experience everyday. Future themes are in the works…. amazing goings on in downtown education and the stories behind the creation of our beloved neighborhood institutions.